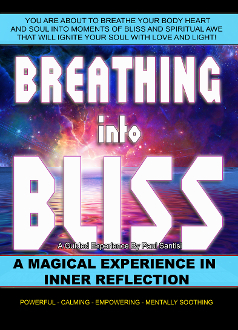 A powerful experience in breathing. You will be guided along with soothing sounds and calming music as you clear your mind amd expand your awareness and abilities. THAT WILL IGNITE YOUR SOUL WITH LOVE AND LIGHT! This is magical experience in inner reflection. Powerful, calming, empowering and mentally soothing.